Homicide Detective Jake Hawksworth, still reeling from the unsolved hit-and-run death of his wife, is investigating the murder of a local woman. Best-selling author Drew McCauley is penning his latest suspense novel. 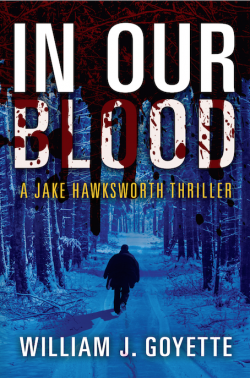 When a horrific crime from Drew’s novel-in-the-making becomes a reality, he enlists the aid of Jake, who helped Drew through a traumatic experience years ago. Is the kidnapping of Drew’s son somehow linked to the murder Jake is investigating? Was Jake’s wife’s death really an accident? And could the person who has haunted Drew and Jake for decades be responsible for these seemingly unrelated events? As Jake races against time to save Drew’s son, a cat-and-mouse game ensues. Jaw-dropping twists and unexpected turns, soaked in a bucket of red herrings, culminate in a showdown at a storm-ravaged house, where long-buried secrets are unearthed and unspeakable truths exposed.